Checkout our New Android ICC Kit by clicking here!! 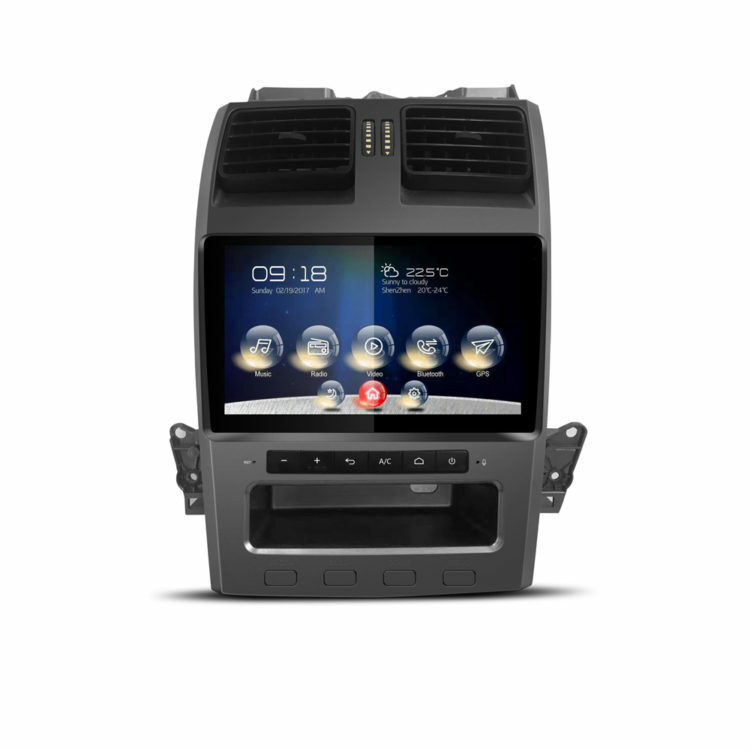 Our touchscreen navigation and media kit is a completely plug and play upgrade for any BA or BF colour screen ICC. It works by plugging into existing factory looms allowing seamless integration into the factory headunit, providing instantaneous access to the ICC screen visuals and audio system. Completely integrates with the factory ICC, maintaining that factory feel of the car while unleashing the ICC to its full potential! Powerful Android based system that changes a stock ICC to a fully equipped entertainment and media system. Never waste your data again with offline navigation and with free map updates so you never get lost! The addition of our kit completely redefines the capabilities of the ICC, one could say its how the ICC should have been from the beginning! The Android based operating system ensures you never falls behind today’s technologies by allowing you to install any of the million apps found on the Google Play store. This includes games, social media, utilities, navigation and any other application found on the store! We highly recommend using OBD2 applications such as Torque pro and Dash Command to view detailed information. Our integrated touchscreen completely immerses you into the entertainment system, providing a completely unique experience that will make every drive an exciting one! Navigating the menus is extremely easy, just a simple tap on the screen and away you go. Also included is a touch stylus pen which is great for typing in addresses! The touchscreen capability comes from installing a clear touch overlay infront of the factory colour screen. A resistance based touchscreen is used with a thick glass style base which provides a firm touch feeling while also protecting and supporting the factory screen. Never get lost again with preinstalled navigation! Demonstrations of both applications are available at the bottom of this page. High quality Australian maps – Free updates! Play, skip, shuffle, mix between playlist or even create your own play lists using the advanced audio app which provides seamless music playing in high quality! Simply load on a bunch of your favorite films and enjoy them along the ride! Perfect for those long holiday drives, and keeping kids and friends entertained while on the move! Is this compatible with my vehicle? This kit is compatible with ALL colour screen BA/BF/SX/SY ICC’s. It must be a factory colour screen for the kit to work. If you do not have a colour screen unit, then we also supply colour ICC upgrades also! Does it have a reverse camera? This unit does not have a reverse camera, we do have a separate camera kit, please inquiry. My factory unit is hard to read when the sun hits it, does this kit fix that? Difficulty viewing due to sun glare on any screen in any vehicle is common around the world. This kit will not alter the factory screen in any way thus direct sun light does still cause glare. Does this unit have bluetooth for handsfree and music streaming? Unfortunately this kit does not have those capabilities. The kit as been designed to be plug and play although does require some disassembly to add the touchscreen to the factory display. This does require removing the headunit from the vehicle, and following our detailed picture tutorials showing exactly how to install it. There is no soldering, cutting or bending of any kind. It is just a matter of sticking the touch overlay onto the factory screen! Does this come with the colour screen ICC? This kit does not include the colour screen ICC. You must have one already installed in your car, the kit is an ‘addon’ to the factory colour screen ICC. Can this be installed in on a non colour screen ICC? Unfortunately no it cannot be installed in a non-colour headunit. How long does it take to boot up? Roughly 30-40seconds from ignition on.